The blaze that was started by an arsonist on September 13 is now 95% contained. The huge smoke plume and poor air quality in the surrounding area are gone. 12 residences and 68 other structures were destroyed in the wake of the blaze that has consumed 97,718 acres. 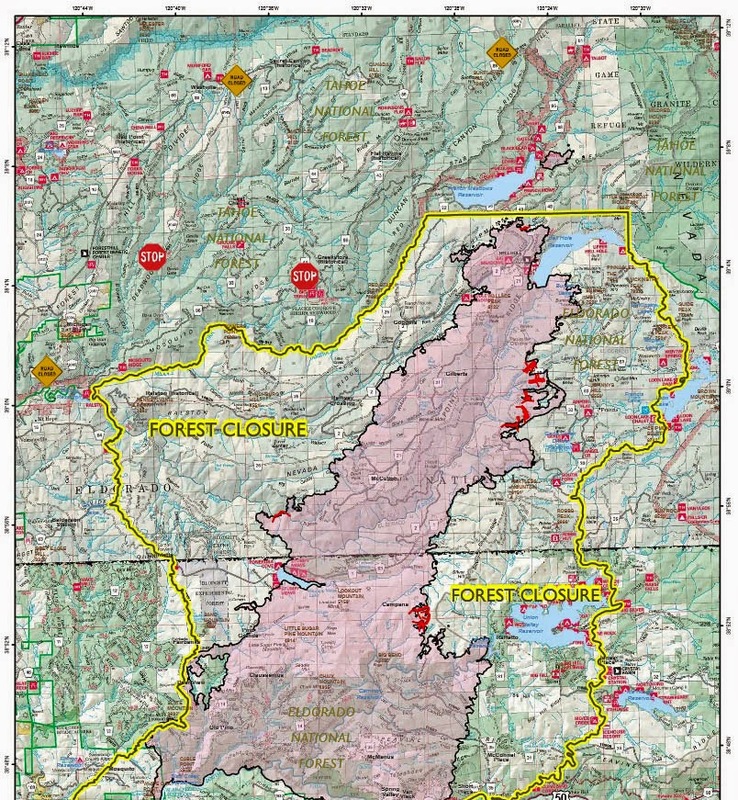 The total fire personnel have been reduced from over 8,000 down to 2,451. 8 helicopters, 23 dozers, and 128 fire engines remain. Firefighters are focusing on the last hot spot west of Loon Lake. The interior of the perimeter continues to burn in pockets of dense trees and brush. Crews are removing hazardous trees, chipping brush, and removing debris from the roadways. A group of specialists are working in the burn area to stabilize the soil. The Burned Area Emergency Response (BAER) team is identifying areas that will need emergency stabilization before the first major storms. The alleged arsonist, Wayne Allan Huntsman was taken into custody on September 18, 2014. The 37 year-old Pollock Pines resident pleaded “not guilty” to arson charges. His trial is pending. 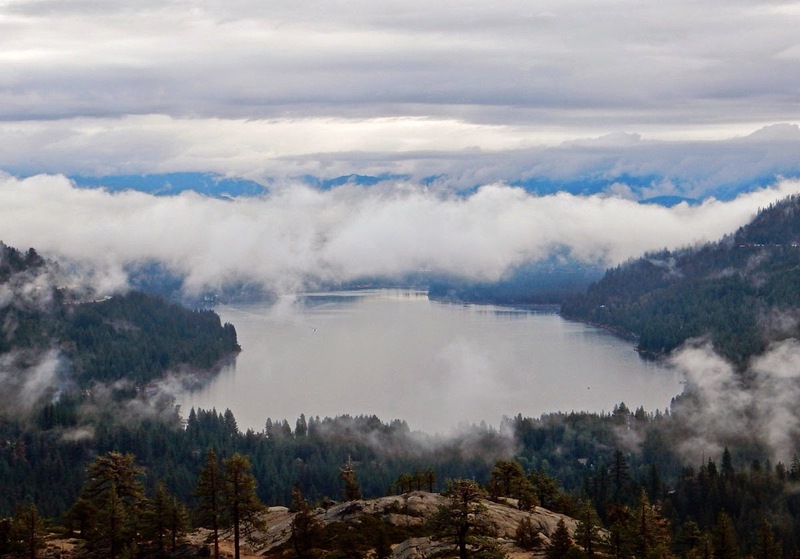 Clouds replace smoke over Donner Lake.